← How should I convert PDF to TIF to get a grayscale TIFF image with using PDF To Image Converter? 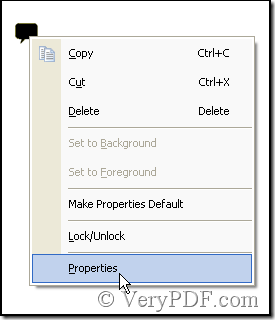 That’s easy to insert some words in pdf files with VeryPDF PDF Editor while that’s hard to remind others of these words where you have inserted. Thinking of this question in my place, I will alter the color of the new words and make them different from the others or alter the font, the style and the size of the new words thus they can be recognized. But in fact this way is just to solve an isolated point not face the whole question. With this way the whole content of an article look more like a queer illustration but a regular article. 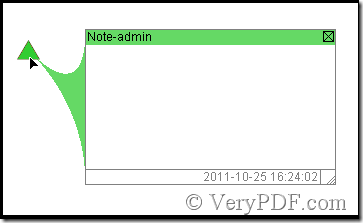 VeryPDF PDF Editor provides a kind of insert text note for users, because it relates to pdf, here we call it pdf insert text note. Once pdf insert text note is added you can add some content as annotation to it, and by use of pdf insert text note it wouldn’t annoy you to consider how to find the new words where you have added any more, instead save the space, that means you’re able to edit more content in a pdf file. Next let’s see the detail operation. First of all download VeryPDF PDF Editor at www.verypdf.com, then open the software and add a pdf file to it. 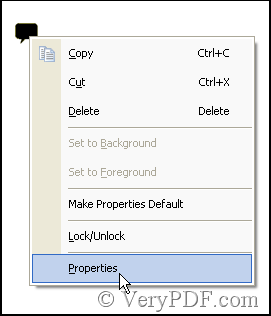 In the toolbar click Edit Comment, thus there are four icons in active state, then click the Add note icon marked by the red rectangle. After Illustration 1, there will be a note in the pdf file, then change it into pdf insert text note referring to Illustration 2. Follow Illustration 2, you will see Illustration 3, in Icon option choose Insert Text. Thus the pdf text note emerges. 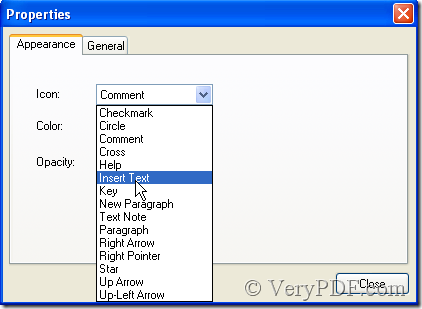 Double-click pdf insert text note, an edit-textbox pops out where you could edit or insert some words. 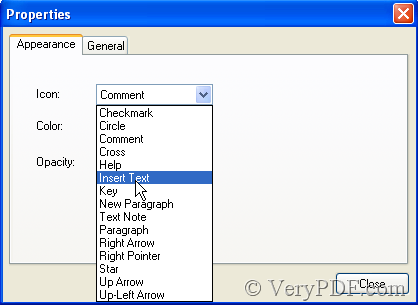 The edit-textbox can be moved, magnified, changed or concealed. How to convert html to jpeg format?